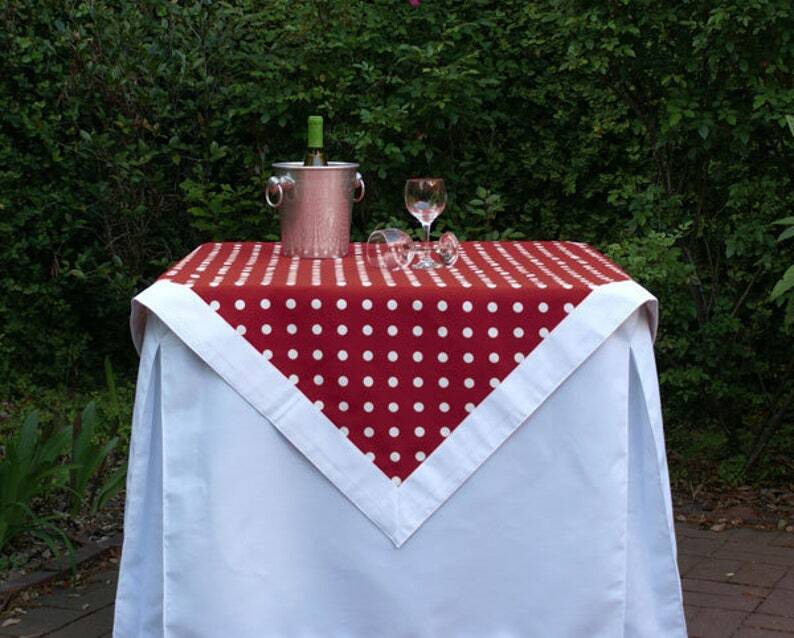 Add style to your tailgate table with our 100% cotton custom tablecloth with 3 in. band. The 52 in. square topper, can be used alone or as an accent cloth on any round, square or rectangular table by placing it over a white or coordinating solid tablecloth. The 52 x 94 in. tablecloth can be used alone or as an accent cloth on a 6 ft. rectangular table by placing it over a white or coordinating solid tablecloth. Choose your band fabric in your team colors for a truly unique look. Made in the USA. Custom sizes are available; please contact us for a quote.